P&S is one of the country’s fastest-growing providers of flatbed truckload transportation and logistics, primarily serving customers in the building materials, oil and natural gas, and steel industries. We work hard to serve our customers, with on-time delivery and flexible response to changing needs. And we wrap critical logistics services around our flatbed transportation, solving customer challenges in tough businesses. We also work hard to make a challenging job as satisfying as possible for our drivers – our most valuable resource. 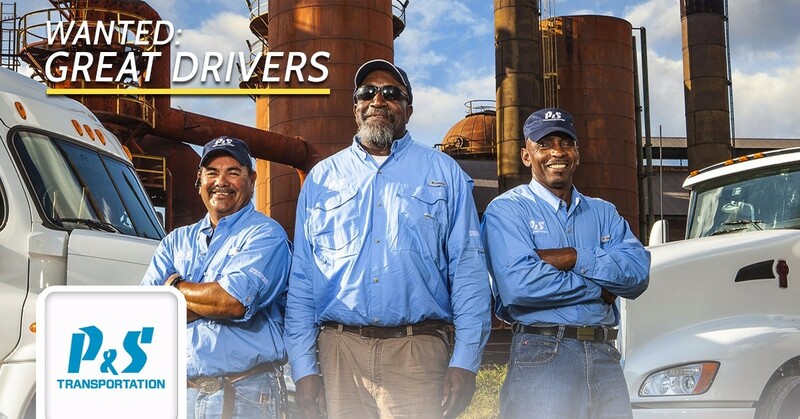 We treat our drivers with respect, as part of the P&S family. Based in Birmingham, Alabama, P&S specializes in flatbed freight, primarily in irregular service between the Southeast, the Northeast, Texas, California, and the Midwest. Our focus on flatbed trucking and our experienced drivers, owner-operators, and staff make us an industry leader. We use technology to minimize empty miles, benefiting customers and drivers.